My story centers around the residence of my first older cousin. The house my cousin currently lives in has a history that still lives in the house. Prior to moving, my cousin did not live too far from his present location and he was in the process of relocating when a view of a lake came to him in a dream back into 2000. The house is situated across from a water treatment plant and the second floor of the house that my cousin lived has a balcony with a view of the lake. An older woman who owned the house and whom my cousin also looked out for lived on the first floor until her death. African Americans could not stay in hotels in certain cities at the time of Segregation in the US so when the woman was alive the standard would be to stay in homes of the affluent blacks that lived in Baltimore city, Maryland. My cousin remembers pictures his landlord had of famous actors, political activists, musicians and writers and etc. who stayed there at her house while on tour. My cousin would tell me of voices he would hear as he was viewing a video on TV, even when the volume was turned off the voices could still be heard discussing the movie that was on the screen. There would be times when my cousin would feel a touch and he would know it would be his landlady just saying hello. I am sensitive and would feel the energy just as soon as I would drive up to the house and would politely give a greeting. 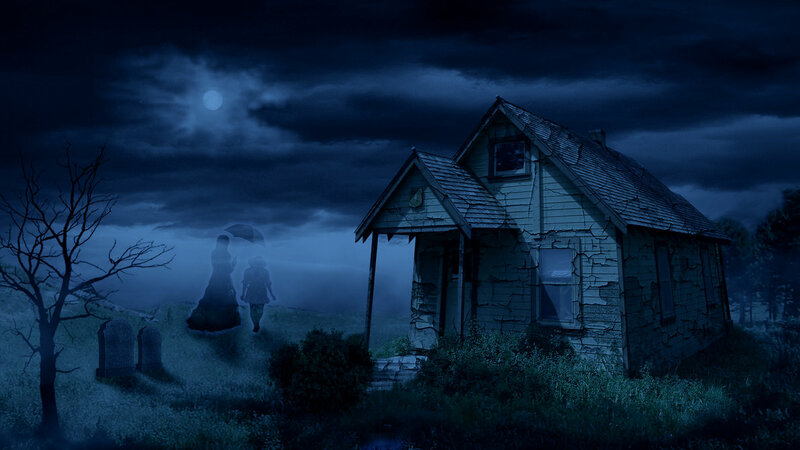 There are also several other female spirits that live in the house as well, who have taken to my cousin and are quite content with him there. I would always wonder about the blue lights whenever I would drive past and he said the spirits in the house like the blue lights. During my first visit, I get a feeling and a vision of a era long past and in the sun room a chair in the corner that the landlady would sit in everyday and look out at the lake and the word flowers came into mind. My cousin has made this room his study. So I told the landlady and the house that the next time I would bring flowers and the next time I was compelled to buy lilies and when I last checked from my cousin, the flowers lasted a long time and the women of the house really enjoyed them.